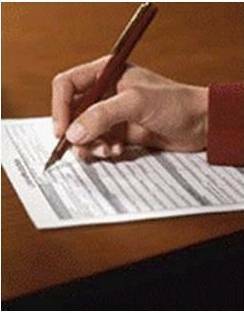 The Real Estate Settlement Procedures Act, (known as RESPA) was originally passed in the U.S. Congress in 1974. It was created to stop the practice of inflating the costs of real estate transactions and obscuring price competition by facilitating bait-and-switch tactics which facilitated kickbacks to lenders, realtors, construction companies and title insurance companies. Someone applies for a loan advertised by the lender at the 5% interest rate, then in the process, the borrower is told that they must use a certain title insurance company chosen by the lender for which the fee is $5,000 (whereas the normal rate is only $1,000). That title company then pays the lender $4000 (in kickbacks). RESPA made this practice illegal. The intent of the law was to make the costs of the services clear to the borrower, so as to allow price competition due to consumer demand and drive down the costs of the services by parties involved in the real estate transactions. However, the kickbacks still occurred in new and more subtle forms, so as of January 1, 2010, we have a new (and final) Rule prescribed by RESPA. This new Rule requires the use of two forms; the new Good Faith Estimate (GFE) of settlement charges and HUD-1 Settlement Statement. Simply put, the GFE clearly discloses key loan terms and closing costs. And, closing agents are required to provide borrowers with the new HUD-1 that clearly compares consumers’ final and estimated costs. In the final analysis, these new forms (the GFE and HUD-1) were implemented to help borrowers understand and shop for mortgages. The final result should be; better mortgage products, lower interest rates and lower settlement charges for borrowers. For more information go to – RESPA, Real Estate Settlement Procedures Act and feel free to start a discussion in the Comment Box below, or visit our Facebook Group – Northern California Real Estate News & Views, and click on the Discussion tab.